These days it's all about the laid back look– ripped jeans, oversized tees, and slip-ons....and lets face it, who rocks this better than your guy? No one...until now. Us girls have taken hold of this laid back look and transformed it into effortless chic. Looks like your bf was on to something after all. 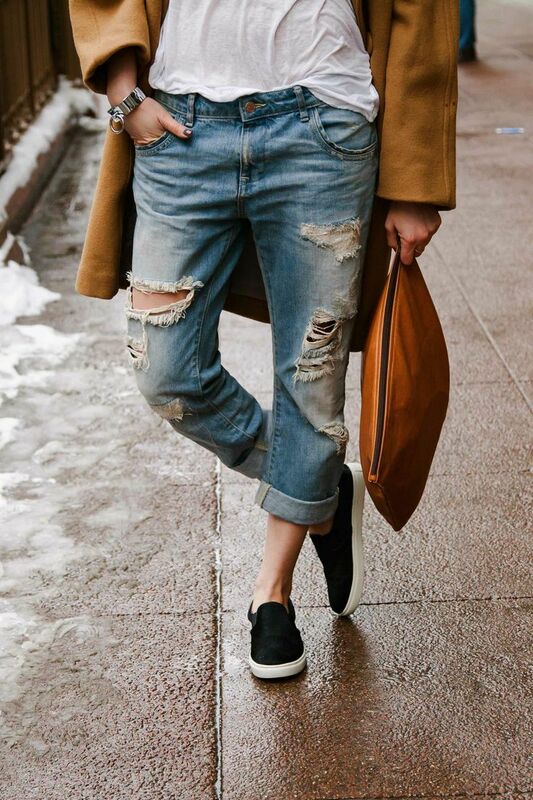 The key players: boyfriend jeans and sneakers.